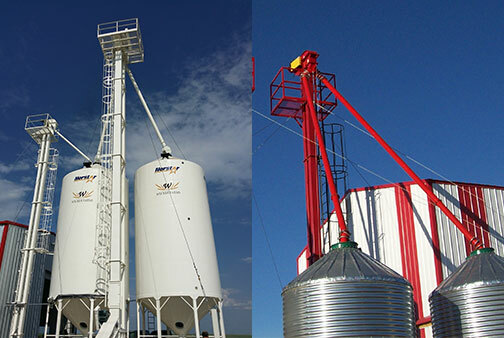 Norstar Bucket Elevators are designed and built to provide maximum throughput and long lasting performance to your operation. With capacities ranging from 100 - 20,000 BPH and discharge heights of up to 200'. Norstar is able to provide a leg that is built to fit your application. Our broad range of options and accessories ensures a fully customized product tailored specifically to your needs. 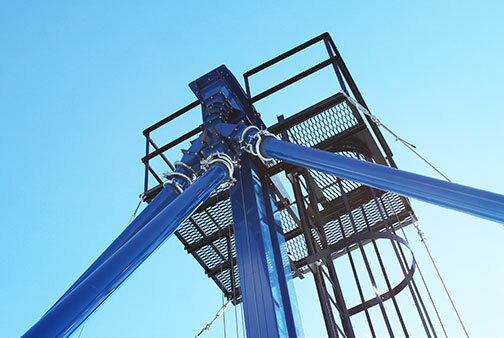 Whether it's a small operation or a large system with multiple legs, Norstar's design and manufacturing team provides market-tested expertise and quality to ensure your satisfaction. Norstar offers a range of pulley diameters that rivals the competition. In addition to the standard market offering of 16" - 48" pulleys, Norstar also offers pulleys from 6" - 12". This effectively allows us to offer solutions for applications that require small or large capacities with varying space requirements. 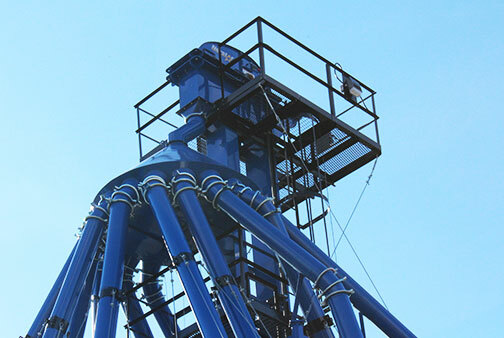 Norstar Bucket Elevators are designed and built to ensure structural integrity. From the material and supplies we use (carefully selected steel, DODGE gearboxes, Goodyear belting, etc.) to our manufacturing processes (jigging, laser alignment, powder coating, etc.) 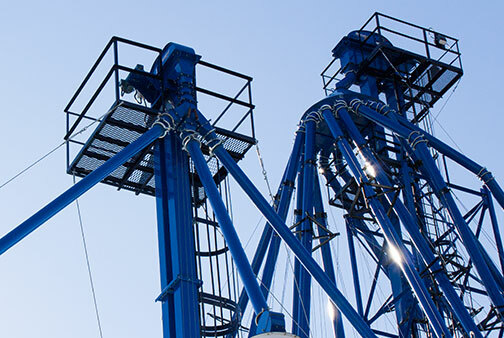 our bucket elevators offer long-lasting performance, ensuring that you experience an excellent return on investment. Norstar offers all of the peripheral components that you need to set up your bucket elevator. 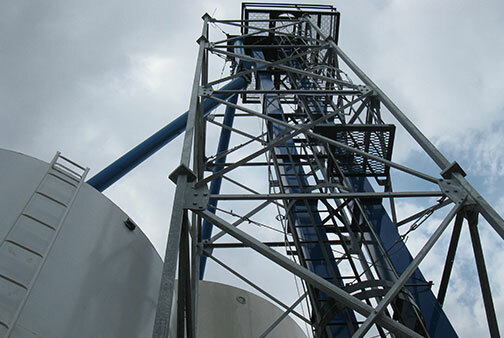 From distributors to support towers, transitions to automation, spouting to fall-protection. we have what your operation requires. 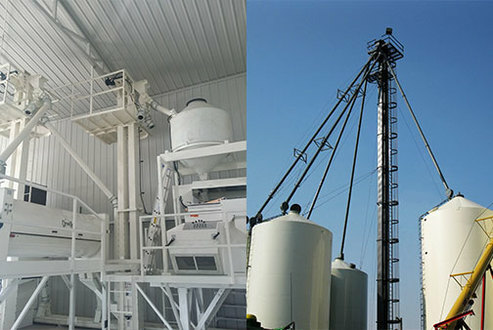 Custom order your bucket elevator to fit the specific needs of your application. ﻿Norstar Bucket Elevators feature a twin-trunking design. Each section is jigged and all flanges are laser-aligned to ensure straight construction without twisting. The trunking seams are track welded for dust containment and weather tightness. Connector Plates are provided to connect each trunking section, ensuring that they are square, making for an easier assembly. Trunking is available in 14 ga, 12ga or 10ga material. 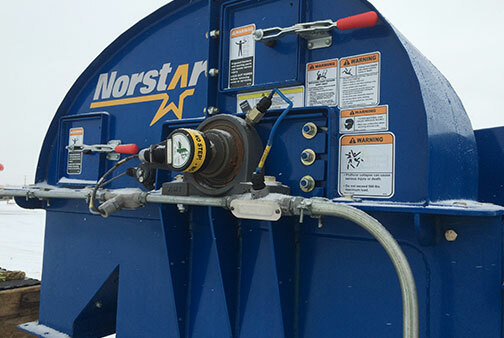 The head section of a Norstar Bucket Elevator features a split-hood design that provides easy access to the head components. The curved contour of the head promotes minimal product impact, preserving material quality. We also offer additional liner options for increased wear protection. Norstar utilizes a crown-faced drum with vulcanized rubber legging for optimal belt traction. All elevator head shafts feature UHMW seals for weather tightness. Norstar offers work and rest platforms for head, distributor and various ladder sections for all models (600 Series - 4800 Series). Platforms are built to meet OSHA standards. 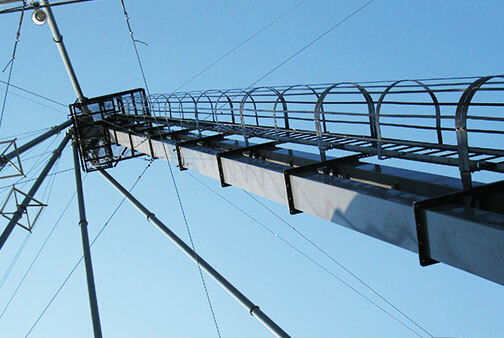 Norstar ladders and cages come in 5' and 10' sections. 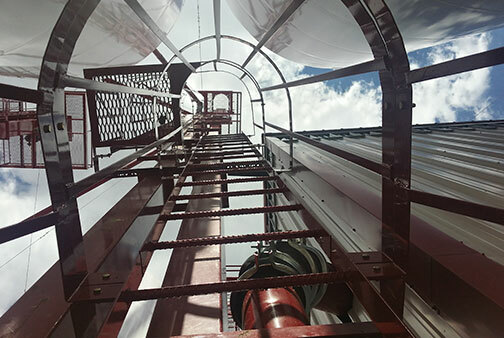 Built to meet OSHA standards, our ladders and cages allow you to safely access your bucket elevator for maintenance or inspection. Our Bucket Elevators feature a Premium Powder Coat finish providing excellent durability with a wide range of custom colors to choose from. 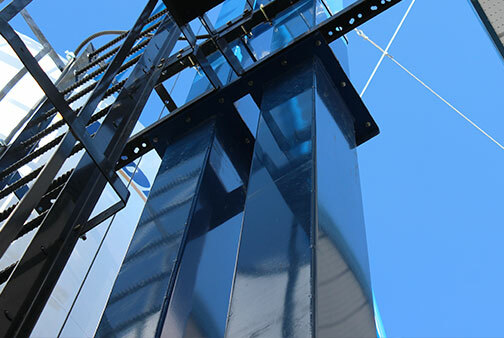 We also offer Stainless Steel construction for applications that require unmatched corrosion protection. 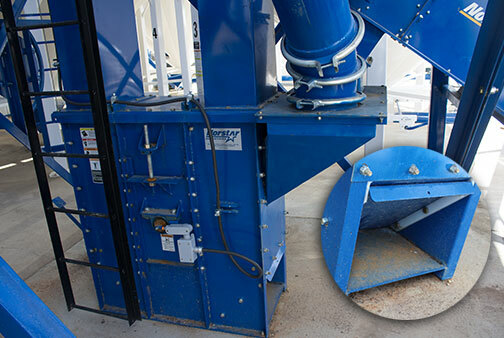 Norstar Bucket Elevators feature 4B buckets because they provide the best value available in the industry. Their heavy duty front lip with a tapered design ensures longer wear life and minimizes material resistance and degradation. 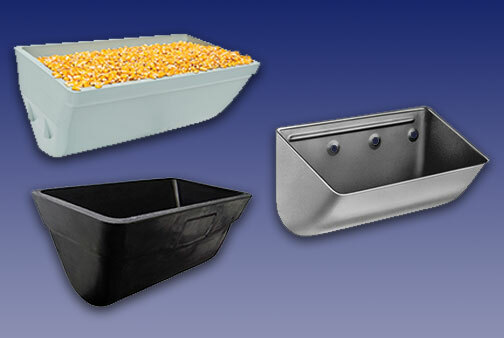 Buckets are available in high density polyethelene, steel, stainless steel, nylon, and more. 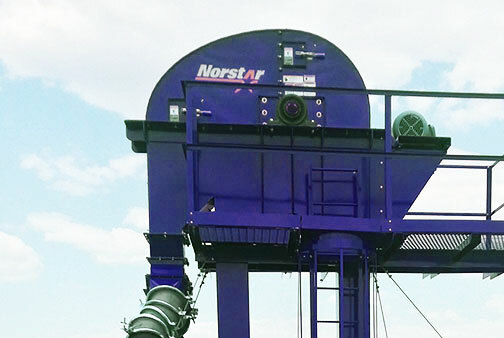 Norstar offers multiple distributor options for your bucket elevator. Manually or electronically controlled models are available with multiple outlet configurations to ensure that your grain is moved efficiently and accurately. Norstar also offers a range of Transitions, Splitter Valves, and Gates to meet your requirements. Norstar offers spouting sizes ranging from 6" - 20" as well as peripheral items such as Truss Kits, Elbows and more. 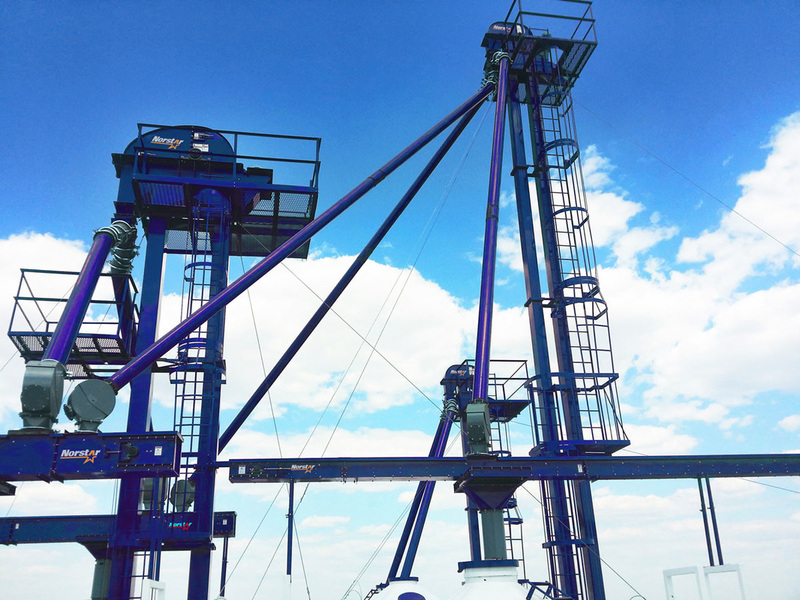 Norstar designed Support Towers offer reliable stability for your bucket elevator and negate the need for inconvenient guy-wires on your site. Easily monitor belt, pulley, plug and bearing condition with a Norstar supplied Watchdog system. Issues that arise will product an alarm and notify you of the problem. 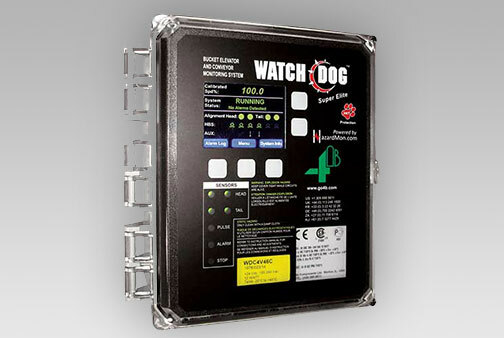 Watchdog monitors allow you to keep on-top of your bucket elevators functionality.  Fill out this quote request to get in contact with your nearest Norstar dealer.